Now that we've hit Spring, the next release on 13 O' Clock Records is moving towards the home stretch! We're still a few weeks out right now, but the debut album from the Tomb Weavers should be ready by late May. Pre-orders will be available very soon, keep your eyes peeled for more news on this very soon! As per the mail order, a bunch of new titles as well as a few restocks have just arrived and are available now! Highlights include: a pile of newer reissues, as well as a few newly repressed titles, on Guerssen Records and the offshoot labels under the Guerssen umbrella such as Sommor Records, Out-Sider Records, Mental Experience, and Pharaway Sounds; fresh new pressings of the Susan Christie - Paint a Lady album as well as Don Gere's wild Werewolves on Wheels soundtrack on Finders Keepers; a fresh new pressing of the Ted Lucas album on Yoga Records; new singles on Munster Records from the Blue Stars, the Conspiracy, and the Rockets; plus a fresh new pressing of the Baby Grandmothers double LP on Subliminal Sounds! To find out more info on all of these titles, as well as everything else that has just arrived, head on over to the mail order page! Some new titles as well as lots of restocks for the mail order have just arrived and are available now! Highlights include: both of new singles on Hypnotic Bridge from the Creation Factory and the Mad Walls; the first five 7" reissues in the Get Hip Archive Series for legendary garage group the Seeds; the latest releases on State Records from the Embrooks and the Dirty Contacts; some new titles on You Are The Cosmos including reissues from Curt Boettcher and the Soft Hearted Scientists; and the recently reissued classic debut album from the Real Kids on Norton Records. For more info on these titles and to check out what is in stock now, hop over to the mail order page! The next release on 13 O' Clock is already well underway, which will be the debut full-length album from the Tomb Weavers! Some of you may already be familiar with this Monterrey, California power trio over the course of their 5 singles that have been released in the past few years on 13 O' Clock, Burger Records, and Get Hip. For those not attuned to their sound as of yet, get ready for twelve new songs merging late 60's psychedelic hangover moves with lots of dawn of the 70's hard rock crunch! It's still a bit too early yet to pin the tail on a set release date, but all points thus far are merging towards a release date this coming Spring, most likely in early May if not a wee bit sooner. More details on this release coming soon, stay tuned! As per the mail order, some new titles as well as some restocks have just arrived and are available now! Highlights include: the limited, colored vinyl version of the new album from the Ar-Kaics as well as a lot of singles restocks from Wick Records; the brand spanking new, excellent rarities collection entitled Bad Trips from Fifty Foot Hose on Sundazed Records' offshoot label Modern Harmonic; the recent reissue of the third album from Wooden Shjips; an official reissue of Pere Ubu's second single on Fire Records; a great, new collection of unreleased Sun Ra recordings from 1974 on Strut Records; and the new cassette reissue of the Asteroid No. 4's debut album on Burger. For more details on these releases, and to check out all the latest new titles, head on over to the mail order page! After a slight last minute delay, both of the new singles on 13 O' Clock from the Higher State and the Beginner's Mynd are ready and will start hitting the streets tomorrow! For everyone that has pre-ordered these titles, some of the pre-orders will hit the mail tomorrow as well, the rest of the pre-orders should be at the post office on Monday morning. As usual, a tracking number will be sent your way once your order is in the mail. Of note, there are still a some copies of the new Beginner's Mynd single with the limited insert available, but I would get your order in sooner than later if you want to snag one of these, as I don't anticipate having the limited copies too much longer. If you missed the last e-mail update, scroll down to the previous entry on the page for the lowdown on both of these new titles. The Sounds page on the website has been updated as well, hop on over to that page to check out the new singles! The only exclusions from the sale are the new titles, the new singles from the Higher State and the Beginner's Mynd. For all other titles that are currently available through the mail order, the discount will be applied to each item before the shipping cost. The mail order page will be updated as quickly as possible through the duration of the sale, and any title that is sold out will say "out of stock" at the end of the title description. Please keep in mind, for some titles available through the mail order, only 1 or 2 copies may be currently available, so the quicker you send your order, the more likely you will be able to snag the titles you want. Please keep in mind, if you are buying something for a gift and need it in a hurry, priority mail is also an option, just ask for it! The sale begins TODAY and runs through midnight, Monday, December 16th. That's a solid week and half to shop and save! One other note per the holidays, the last day for any orders to hit the mail before Xmas will be Friday, December, 21st. And speaking of the Beginner's Mynd, they've got a couple of great shows lined up for this weekend in Washington D.C. and Brooklyn! Friday night, they hit the stage in Washington D.C. on a bill with the Ar-Kaics, Teen Cobra, and the It's Alives. On Saturday, they head to Brooklyn for a killer record release party with the Ar-Kaics once again, Brower, and the Elevator Operators! 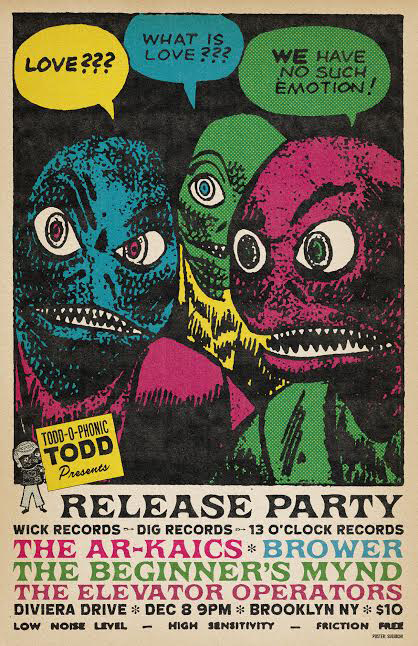 Also on Saturday, they hit the airwaves for a live performance on the excellent Todd-O-Phonics show on the mighty WFMU! The show airs from 3:00 to 6:00 pm eastern standard time. Tune in! The 10th year of 13 O' Clock Records has kicked off, and pre-orders are now available for the next two releases on 13 O' Clock Records! Both of these titles should be ready to ship at the end of November! The Higher State dive head first into the hazy, paisley territory of 60's-style acid-punk on their latest single, merging loads of fuzzy, garage-punk moves with third eye tickling psychedelia! Mastered loudly for best results, both songs come roaring out of the gates! On the topside track, penned by Paul Messis, the group unleash a stunning fuzz blaster, while on the flipside cut, penned by Marty Ratcliffe, the group uncorks a moody, broody garage gem with some folk-punk nods. Along with spot-on lyrics, both songs are delivered with a cool, somewhat otherworldly, timeless vibe. Raw, swirly sounds to reverberate in your noggin long after the needle hits the dead wax! Insert and download code included. The Beginner's Mynd are back with a new single! 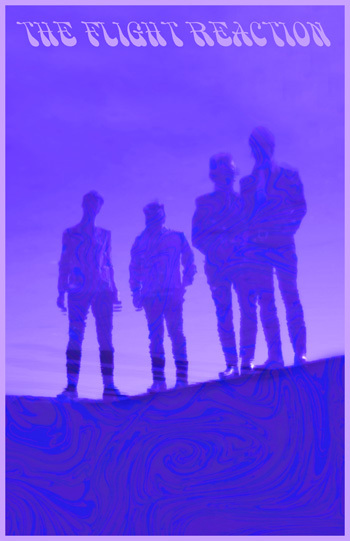 On this follow-up to their debut album Don't Lose Your Mind, the Washington DC-based group present a new original song on the top side with strong 60's UK-style psych vibes in the vein of good 'ol early Syd Barrett-era Pink Floyd meets The Factory. On the flipside, their rendition of the Bob Dylan perennial classic, meshes jangly, folk-garage with some baroque pop-psych stylings, harpsichord included! A solid, very well-rounded two-sider showcasing all of the facets of the group's bedrock sound! Download code included. First 100 copies include a special insert! To pre-order these singles, just send an e-mail to the 13 O' Clock gmail address. The total for your order will then be sent your way with the correct shipping cost. Once payment is received, a quick confirmation e-mail will be sent to you confirming your order. Of course, if you would like to order any other items currently available from the mail order to your order, just send along the titles you would like to add and a total for everything with the correct shipping cost will be sent your way. For more details on both of these releases, hop over to the mail order page. We are quickly approaching the 10th anniversary of 13 O' Clock Records! To kick off the 10th year of the label, two new releases are in production right now, two new singles from the Higher State and the Beginner's Mynd! Both of these titles should be hitting the streets later this Fall. As of right now, it's looking like these should be ready to go at the end of November. Once some of the last details are wrapped up on both of these releases, I'll send out the pre-order notice for both, most likely early next month. Stay tuned! Another batch of new titles for the mail order have just arrived as well as a few restocks! Highlights include: the newly reissued, most recent album from Frankie & the Witch Fingers on Permanent Records; the first-time U.S. reissue of the third album from Faust on Superior Viaduct; the official reissues of the first three albums from Wire on Pink Flag; and a new single from the recently reformed Scientists on In the Red. For more details on these releases, and to check out all the other titles, hop on over to the mail order page! The fresh, second pressing of the Asteroid No. 4's new album Collide has just arrived and is shipping now! This pressing of their ninth album is presented on 150 gram black vinyl, and once again comes with all the other bells and whistles like the original pressing, including a gatefold jacket, fold-out insert, and a download code. For more details on the album, head over to the mail order page. Speaking of the Asteroid No. 4, they are now currently over midway through their U.K./European tour! They still have some shows left in France, Spain and Portugal over the next week and a half. If you get the chance, go see them! Their show on September 22nd has been set as well. For their tour finale, they will be in San Sebastián, Spain on the same bill with Wooden Shjips! For more info on their tour, scroll down to the update from mid-July for a full tour itinerary. Visit the 13 O' Clock twitter page for more day to day show announcements. While we are on the subject of shows, for folks that will be in Washington D.C. on September 22nd, the Beginner's Mynd will be playing live on a great bill along with the Mystic Braves and the Creation Factory at the DC9 Nightclub! It should be a great show, go see them! Some new releases and new titles as well as a bunch of restocks have just arrived and are available now through the mail order! Highlights include: the recent reissues from the Jacobites and Velvet Crush on You Are the Cosmos; a reissue of the lone album from French garage group the Ramblers as well as an unreleased 7" on Dangerhouse Skylab and Trash Wax; the debut single from Benny Trokan on Wick Records; the new Subsonics single on Hidden Volume; a reissue of the debut album from Ye Nuns on Crocodile Records; plus lots of restocks! Head on over to the mail order page to check out all the goodies! Lots of new releases and new titles as well as some restocks have just arrived and are available now through the mail order! Highlights include: several new Spacemen 3 reissues on Superior Viaduct; a couple of great, obscure, rarity reissues on Subliminal Sounds from Kano and K.S. Ratliff & Black Magic; an official reissue of the Taj Mahal Travellers' hypnotic August 1974 double album on Aguirre Records; a reissue of the Action's Rolled Gold demos collection on Guerssen; a reissue of Traffic Sound's excellent third album Virgin on Vinilisssimo; a new, deluxe reissue of David Axelrod's debut album, Song of Innocence, on Now Again Records; plus the new, limited reissue of the Bent Wind - Sussex album, as well as some key restocks like the Plastic Cloud album on Lion Records. Head on over to the mail order page to check out all the goodies! The Asteroid No. 4 are heading back to tour Europe and the U.K. in two weeks! They also will be playing a layover show in their old hometown, Philadelphia, on their way over across the big pond on August 24th! Scroll down to last month's news entry below where you will find their complete tour itinerary. And for more up to date news as their tour progresses, be sure to check out 13 O' Clock on social media, in particular Facebook, Instagram, and Twitter, where updates will be posted frequently. Don't miss your chance to see them in action live! The fresh, new second pressing of the Beginner's Mynd - Don't Lose Your Mind LP has arrived and is shipping NOW! The debut album from this Washington D.C.-based group came roaring out of the gates last summer, and now it's back in print in these maddening times to remind all not to lose your mind! Once again, the album is presented on 150 gram black vinyl and is housed in a jacket with eye-popping artwork courtesy of X10. Download code included. Kick your summer listening into high gear and snag a copy now! In other news, the dates for the upcoming Asteroid No. 4 U.K./European tour have been posted! Still a couple of TBA dates, but for the most part, most dates are set for their tour. They will also be doing a special layover show in Philadelphia, their old hometown, on the way over to Europe! Here's the full blown tour schedule, go see them! Speaking of the Asteroid No. 4, while they have been busy getting their newest member ready for the big tour over the past few weeks, they will finally also be doing their official record release show for their latest album Collide in just a little over a week in San Francisco at the Rickshaw Stop on Thursday, July 26th. Should be a fun night at a fun venue! For more info on this show, check out the flyer below. 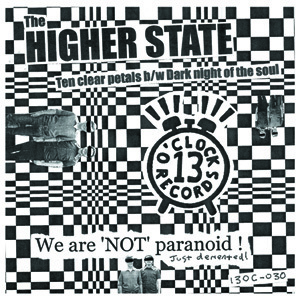 In other label news, the next new release on 13 O' Clock is also underway, which is a new single from the Higher State! This time out, the group dives deep into 60's-style acid-punk territory with a couple of new gems! As of right now, it's on track for release early this fall in October, and should be out on the eve of the 10th anniversary of 13 O' Clock! Stay tuned for more details on this release! With all the various label releases and represses in motion this month, took a little break on getting in a new batch of records for the mail order. There is still quite a few things in stock from the big pile of titles from the last e-mail update, and also, the latest title on Market Square has just arrived and is available now, which is the debut single from new UK post-punk group the Cool Greenhouse. Check out the details on this release over on the mail order page. Expect to see another big batch of new titles and restocks for the mail order in a few weeks, stay tuned! Big waves of new titles for the mail order are rolling in this week plus lots of restocks! Most of these titles are in stock now, and the rest should be arriving in the next couple of days. Lots of highlights here, including: for starters, both of the excellent, new Real Kids titles on Crypt Records; the excellent, new album from Wooden Shjips on Thrill Jockey as well as the new Brother JT album; a bunch of multiple colored vinyl reissues on Sundazed Records; some killer Sun Ra titles on Sundazed offshoot label Modern Harmonic including the ever-awesome Astro Black LP; the new studio album from the Subsonics on Slovenly Records; plus some more recent releases from Hidden Volume including the new Blind Owls 7". Head on over to the mail order page and start shoppin'! Some more titles have just arrived and are now available through the mail order! Just got restocked on several Asteroid No. 4 LP's and CD's, as well as snagged some copies of their Windmill of the Autumn Sky 12" EP. Also just in, the new single from Ye Nuns on State Records! Hop on over to the mail order page for more info on all of these titles. They will be on tour in Europe in August and September! Dates and venues for the tour will be posted soon, stay tuned for more news on that! 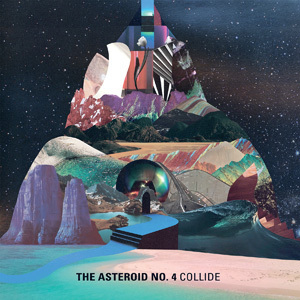 The new album from the Asteroid No. 4, entitled Collide, is out everywhere this Friday! All pre-orders for the album have shipped as of last week. Currently there are still plenty of copies available direct from the source, but don't sleep too long on the first pressing of the album as there are only 500 copies available on clear colored vinyl! For more info on the album, head on over to the mail order page. In other news, the Asteroid No. 4 will be on tour in Europe starting late this summer for a few weeks! As of right now, dates and venues are still being finalized, but as soon as the dates and venues for all the shows are set, this info will be announced on social media and will be listed here on the website! Stay tuned for all the details! A lot of new titles to the mail order have arrived this past week as well as some restocks! Highlights include: both of the new Hookworms reissues on Gringo Records, the new John's Children - Desdemona 7" EP on Munster Records, the deluxe reissue of the Open Mind LP on Sunbeam Records, multiple new 2018 reissues on Lilith Records from Brainticket and Cluster, the brand spanking new reissue of Chrissy Zebby Tembo's Zamrock classic My Ancestors on Mississippi Records, and a couple more cool titles on Guerssen offshoot label Mental Experience. For more info on these titles, as well as to check out the rest of the most recent arrivals, head on over to the mail order page. Pre-orders are now available for the next release on 13 O' Clock, the new album from the Asteroid No. 4 entitled Collide! 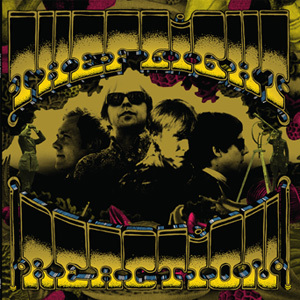 This is the 9th studio album from these long-standing San Francisco bay area psych veterans, and it also celebrates their 20th anniversary as a group since their debut long-player back in 1998! In a lot of ways, a true return to form similar to some of their finest moments like the Hail the Clear Figurines album and the These Flowers of Ours double album, meshing hazy, paisley vibes with fluid shoegaze moves and dots and dashes of 60's-style psychedelia. The first pressing of their album is presented on 150 gram clear colored vinyl and is limited to 500 copies! The album comes housed in a nice gatefold jacket with a foldout insert and a download code. As of right now, the record is on track for release in the middle of May, and all pre-orders should start hitting the mail before the official release date, which is May 18th. To pre-order a copy, just shoot an e-mail to the 13 O' Clock e-mail address. An e-mail will then be sent your way shortly with the correct total for your pre-order including the shipping cost. Once payment for your pre-order is received, you will receive a quick confirmation for your order. If you are interested in ordering other titles from the mail order along with the pre-order, feel free to send along the titles you wish to add to your order. To hear a couple of tracks from the album now, head over to the Sounds page. In other news, some more new titles have arrived and are available now through the mail order as well as some restocks! Highlights include: the newly riessued Plastic Cloud LP on Lion Productions; the expanded double LP reissue of the Simply Saucer - Cyborgs Revisited album on In the Red; the Spiny Normen LP on Riding Easy; a few more great tiles on Superior Viaduct including the new reissue of the Spacemen 3's Dreamweapon double LP; and finally after being no-shipped on multiple occasions from the distributor, the Oister double album on Hozac is now available through the mail order! Plus, one last minute addition, the Craig Smith - Love is Our Extistence LP on Maitreya Apache Music! This title is available for pre-order now, and will ship as soon as it arrives, which should be within a week or so. More info on all of these titles as well as more new arrivals and restocks can be found over on the mail order page. More new titles have arrived as well as a bunch of restocks! Some of the recent releases on Hidden Volume Records, most on colored vinyl, as well as the latest releases on John Colby Sect are now available through the mail order. Hop on over to the mail order page to check out what has just arrived. Currently, there are still some copies left of the limited, clear red vinyl version of the new Paul Messis album, but it is anticipated that these will sell through over the next few weeks. That said, if you've been thinking about snagging one of these, you should probably do that sooner than later! For more details on the album, hop over to the mail order page. In other label news, the next release on 13 O' Clock is already at the pressing plant. Pretty excited to announce that the next release will be the new album from the Asteroid No. 4 entitled Collide! This will be the group's ninth studio album, and comes in the year of the group's 20th anniversary! Once things get a little further on down the road with the production process, more info will be released about the album including pre-order information of course. Stay tuned! In other news, alot of new titles as well as restocks have arrived and are available now through the mail order! Highlights include: several new reissues on Sundazed Records including titles from the Rising Storm, Ultimate Spinach, and the Baroques; both of the new singles on Market Square Records from the Wrong Society and Skiftande Enheter; several newer releases on Munster Records; the official reissue of Fifty Foot Hose's Cauldron album on Aguirre Records; the first time on vinyl reissue of the first volume of the Tokyo Flashacks compilation as well as the second album from High Rise, both on Black Editions; colored vinyl reissues of the first two albums from the Solarflares on Damaged Goods, plus lots more! Head on over to the mail order page for more details on these titles and to start shopping! In case you haven't seen these yet, here's a couple of videos for songs off of the new Paul Messis album. The top video is for Mistress of Death, and the one below is a cool, animated fan video for the song Apathy's Callin'. Check them out! The new Paul Messis album is officially out everywhere tomorrow! Currently, there are still plenty of the clear red colored vinyl copies available as well as the black vinyl version. For more info on the record, head on over to the mail order page. To check out a few songs from the album, hop over to the Sounds page. 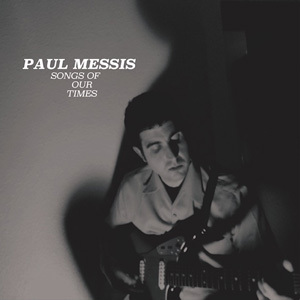 Here's a quick update on the upcoming Paul Messis - Songs of Our Times LP: As of today, the records have not arrived yet from the pressing plant, but should be on the way here soon. Fingers crossed, they will arrive this week so they can start shipping out before Xmas. Thanks to everyone who has already pre-ordered a copy! Your record will be in the mail as soon as possible! With that said, pre-orders are still currently available for the new Paul Messis album, and yes, there are still copies available for the limited clear red colored vinyl version of the album. For more info on the album, hop on over to the mail order page. Andy Human & the Reptoids - Kill the Comma b/w Do the Mole 7"
Pierced Arrows - Keep On Pushin' b/w Little Did I Know 7"
The Suburban Homes - Unemployed b/w Anxiety Attack 7"
The Turns - Doorman b/w Just Like You 7"
The Urges - Passing Us By b/w Corners of Her Mind 7"
Third Bardo - My Rainbow Life b/w I'm Five Years Ahead of My Time 7"
Lots more info on all these titles over on the mail order page. Happy holidays! Pre-orders are now available for the next release on 13 O' Clock, the new album from Paul Messis entitled Songs Of Our Times! Twelve fresh new cuts chock full of 60's-style garage punk merged with jangly folk punk, to which Paul delivers some of his most personal and introspective lyrics yet that reflect not only on the perennial life problems and struggles we all face, but the new ones as well. His new album is presented on 150 gram vinyl, of which the first 300 copies are on clear red colored vinyl! The album comes with a nice, glossy lyrics' printed inner sleeve and a download code. As of right now, the album is on track for release in early December, and all pre-orders should start hitting the mail the first week of the month. To pre-order a copy, just shoot an e-mail to the 13 O' Clock gmail address and an e-mail response will then be sent your way with the correct total for your pre-order including the shipping cost. Once payment for your pre-order is received, you will receive a quick confirmation e-mail for your order. If you are interested in ordering other titles from the mail order along with the pre-order, feel free to send along the list of titles you wish to add to your order. You can can check out several songs from the album right now by hopping over to the Sounds page, and for more info on the album, head over to the mail order page. The Sparkles - No Friend of Mine 7"
More info on all of these titles can be found over on the mail order page! Travis Pike & the Brattle Street East - Watch Out Woman b/w The Way That I Needed You 7"
More info on all of these titles over on the mail page, get a move on! 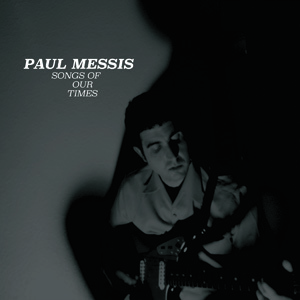 The next release on 13 O' Clock is now in production: the third album from Paul Messis entitled Songs of Our Times! Paul has been staying busy recording not only with the Higher State and Suburban Homes, but of course running his own label imprint Market Square Records, so it's been a while since his last release under his own name, but I think you'll find the wait well worth it! His new 12 song album is currently slated for release in November. Once we move into the Fall, a proper release date will be set, and more details about the record will be duly notated, so stay tuned! Giuda - Yellow Dash b/w Kukulcan 7"
For more info on all these titles, head on over to the mail order page. Super stoked to announce that the Beginner's Mynd is officially out everywhere this Friday, July 28th! Most pre-orders have already hit the mail, and the rest should be on the way by Wednesday morning. Only a few copies left with the special, limited 3D lenticular eye jacket, so if you have been wanting to snag one of these, it's best you get your order in now. The band will also have some copies of the limited version of the album available for sale via their bandcamp page. The Third Bardo - My Rainbow Life b/w I'm Five Years Ahead of My Time 7"
For more info on all of these titles, head on over to the mail order page. The new Tomb Weavers singles have arrived! Their latest single, the (Why Are You) Shaking? b/w 7 Cycles Per Second 45, will start heading to distros this week, and of course you can snag a copy now direct from the source. Just hop over to the mail order page for more details. One more quick note: pre-orders for the Beginner's Mynd - Don't Lose You Mind Lp have been coming in waves here over the past couple of weeks. Just a reminder, the first 100 copies of the record will come in a special, limited jacket with a 3D lenticular eye on the front, and these copies are strictly available by ordering them here direct from the label and the band. As of today, there's not too many copies left with the special jacket, so don't wait too long to order! Pre-orders for the Beginner's Mynd album should start shipping around July 21st, and the album will be hitting the streets everywhere on July 28th! Pre-orders are now available for the next full-length release on 13 O' Clock, the Beginner's Mynd - Don't Lose Your Mind LP! From the fuzzed out title track opener on through to the dreamy pop-psych closer, 10 new songs that come well-prepared to kick your summertime music listening into high gear! Presented on 150 gram vinyl, with a download code included, the first 100 copies of the album will also come with a special, limited jacket with a 3D lenticular eyeball just like the one you see in the video below winking at you! The first 100 copies will only be available here directly from the label and from the band, so don't wait too long to snag one of these! Right now, the album is set for release on July 28th, and pre-orders should be ready to ship by late July. To pre-order the album, just send an e-mail to to: 13oclockrecords@gmail.com and a total for your order with the correct shipping amount will be sent to you. And of course if you wish to purchase any other items from the mail order along with your pre-order, feel free to send along that info as well, and a total for your entire order will be sent your way shortly. You can take a sneak peak at what the album has to offer right now! Several tracks from the album are posted over on the Sounds page, check it out! Also, here's a quick update on the new (Why Are You) Shaking? 45 single from the Tomb Weavers: Unfortunately the pressing plant has been very backed up the past few weeks and the singles have still not arrived just yet. After inquiring on the status of the singles once again this past Friday, I have been told that they should be ready to ship any day now. If the singles arrive by this coming weekend, or by next Monday, they should be ready to ship on July 5th, the day before of course will be a postal holiday for the 4th of July. For everyone who has already pre-ordered the single, THANK YOU for your patience! Your order will be in the mail as soon as the singles arrive. A couple of quick notes here on the next couple of releases on 13 O' Clock: It seems that once the pressing plant is a bit backed up on getting their orders out the door, and so the new single from the Tomb Weavers unfortunately has still not arrived yet. These should be shipping any day now. THANK YOU once again for everyone that has pre-ordered a copy, your orders will be in the mail as soon as the singles arrive, and as usual you'll receive an e-mail message with the tracking number on the package once your order is on the way. As for the upcoming new debut album from the Beginner's Mynd, this title will most likely be a bit delayed as well due to these delays at the pressing plant. Pre-orders should be available very soon. Expect to see another e-mail update heading your way very soon, most likely within the next couple of weeks, which will have all the details on this release including all the pre-order info. Iggy Pop & James Williamson - Kill City 10"
Mayo Thompson - Corky's Debt to his Father LP + 7"
More info on all these titles over on the mail order page. 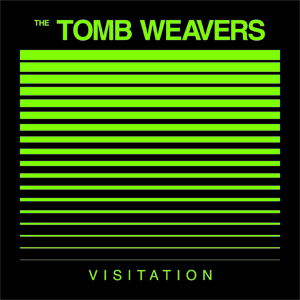 Pre-orders are now available for the next release on the label, the new single from the Tomb Weavers! For their fifth single, the second on 13 O' Clock, the heavy-psych trio from California deliver two new cuts: (Why Are You) Shaking? b/w 7 Cycles Per Second. Two more late 60's-style heavy psych nuggets meshed with dawn of the 70's psychedelic hangover style hard rock, think your favorite heavy psych unknowns from the 60's meets Blue Cheer and Damnation of Adam Blessing! Presented in a company style sleeve, their new single is on track for release on June 2nd, and all pre-orders should be ready to ship by late May. For more info on the single, hop over to the mail order page. You can also listen to both tracks from the single now over on the Sounds page! The Dicks - Hate the Police 7"
Dwight Twilley Band - Firefly b/w Living in the City 7"
Lots of info on all of these titles can be found over on the mail order page. 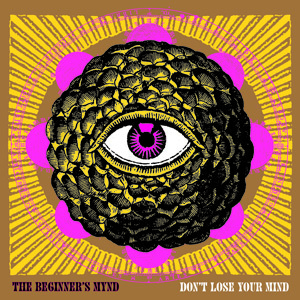 Stay tuned for news coming soon on the next full-length release on 13 O' Clock: The Beginner's Mynd - Don't Lose Your Mind LP! More info on all of these titles over on the mail order page. 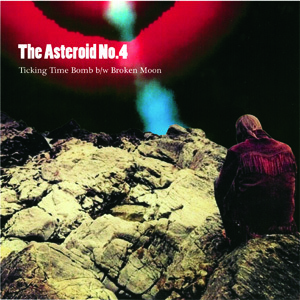 The Asteroid No.4's Ticking Time Bomb b/w Broken Moon single is out this Friday! It's already at distributors in the U.S. and Europe, and is heading towards record stores as we speak. Of course you can snag a copy right now from the source! Hop on over to the mail order page for more info on this release. Both tracks from the single are on the Sounds page for your listening pleasure, so head over there to check them out! In other news, a couple more new releases have arrived and are now available through the mail order! The brand spanking new single from the Higher State on Market Square Records is here! Even got a few copies of the way-limited version of the single with the special foldover sleeve, but these will most likely sell very quickly so get your orders in ASAP! Also got the latest single from The Reverberations on Beluga Records. For more info on both of these titles check out the mail order page. 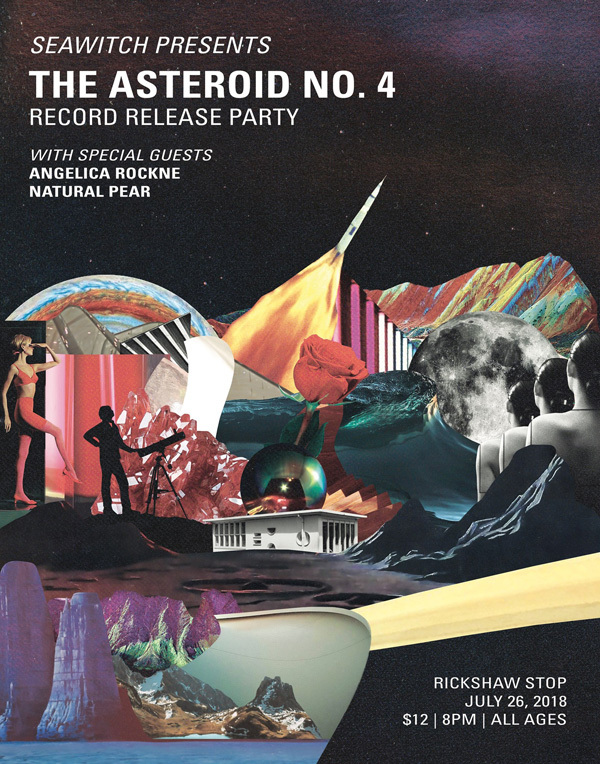 Speaking of the Asteroid No.4, several back titles from the group will be arriving shortly, most likely by Wednesday. As they are arriving a bit earlier than anticipated, they are not up on the mail order page yet, but will be by Wednesday morning. 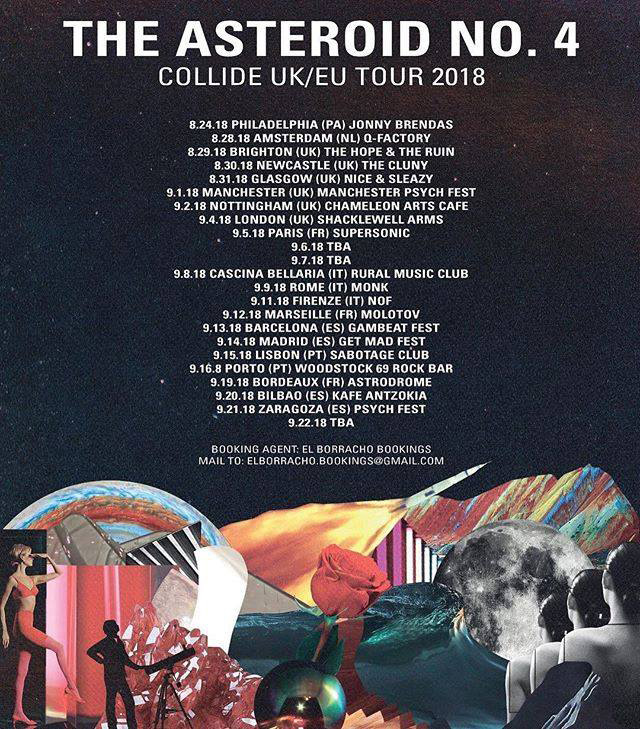 Stay tuned for all the info on these Asteroid No.4 titles! Here's an update on the upcoming new single from the Asteroid No.4: while their new Ticking Time Bomb b/w Broken Moon single is finally in the late stages of production, the official release date has been pushed back to March 24th, and should start shipping by the third week of March. Apologies for having another delay with this release, it's definitely a bummer! But due to an unforseen massive backlog of pressing orders at the pressing plant caused by a lot of last minute problems as they were transitioning over to new facilities, this delay has become inevitable. THANK YOU for your patience to everyone who has already pre-oreded a copy! Sit tight, they'll be heading your way soon! Penthouse 5 - It's All My Own Bizarre Dream LP + 7"
The Smoke - My Friend Jack 7"
More details on all of these titles over on the mail order page! 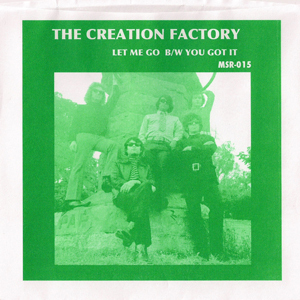 More copies of the Creation Factory single on Market Square Records have just arrived! They are going fast, and will sell out pretty quickly, most likely by the end of this week! This is the last time this single will be available through the mail order as it is already sold out from the source, so get your order in for it now! For more info on the single, hop over to the mail order page! The debut single from the Creation Factory on Market Square Records has arrived and is available through the mail order NOW! Just to note as there's already been some inquiries about it, the release date on this single is this coming Monday the 16th, which is of course a postal holiday here in the U.S. for MLK Day, so these will start shipping on Tuesday, January 17th. Like all the previous releases on Market Square Records, this is a limited pressing so don't wait too long to snag a copy! For more details on this release, hop over to the mailorder page. A quick update on the upcoming Asteroid No.4 single: right now it's looking like it will be ready to ship starting in early Febraury. At the moment it has been re-slated for a February 10th release date. Barring any other delays at the pressing plant of course! The Baron Four - Walking Out 7"
Just as some of the last copies of original pressing were heading out the door, the new repress of the Higher State's Volume 27 LP has arrived! Like the original pressing, the new pressing comes pressed on 150 gram vinyl with lyrics' printed record inner sleeves and a download code, all of which are housed once again in nice, old-school 60's-style tip-on jackets. They are here and ready to ship NOW! For more details, check out the mail order page, and you can still hear some of the songs from the new album over on the Sounds page. In other label news, pre-orders are now available for the next release, a new single from The Asteroid No.4! This long standing psych group, now based in Northern California, delivers two new gems on their new single. The A-side psych groover has some serious 60's-style psychedelic moves and comes across like a lost track from the Pretty Things' S.F. Sorrow album, while on the flipside the group heads into a more moody, starry-eyed territory with some hazy, paisley vibes in the vein of Opal and Mazzy Star in particular. The new single comes in a full-color jacket with a download code. Right now it is on track for release in late Janaury, and pre-orders will most likely start shipping the last week of January. You can listen to both tracks from the new single right now, just head over to the Sounds page to check them out! For further info on the new single, hop on over to the mail order page. Fantastic Dee-Jays - Fight Fire 7"
More details on all of these titles can be found over on the mail order page. It's time to make some room here at the 13 O' Clock Records headquarters to get ready for the new releases coming in 2017, so it's time for a XMAS SALE! Starting this Friday, November 25th, through Sunday, December 4th, ALL 13 O' CLOCK TITLES ARE 20% OFF! This includes all the currently still available LP's, CD's, and 7" records on the label as well as the Higher State t-shirts. All other titles available through the mail order are also on sale! ALL NON-13 O' CLOCK TITLES ARE 10% OFF! As usual, just send an e-mail to the label at: 13oclockrecords@gmail.com and a total for your order with the correct discounted price per item will be sent your way. All items of course will be discounted before the shipping cost as the U.S. Postal Service is not running a sale on their shipping rates. To receive the sale price on any item, please have your order placed and payed for no later than the last day of the sale, which is Sunday, December 4th. Please keep in mind, some items for sale in the mail order are limited in quantity. The mail order page will be updated as quickly as possible throughout the duration of the sale, and any title that gets sold out will be marked as "Out of Stock" at the end of the title description. Buying a Christmas gift for someone special and want the items sent directly to them? No problem, just send the details on your preferred shipping address along when you place your order. Ten whole days to save when you shop, so hop to it! Happy holidays! For more details on all of these titles, hop on over to the mail order page. More info on all of these releases over on the mail order page. The new single from the Wrong Society is officially out TODAY! It's hitting stores and distros right now, and of course you can snag a copy direct from the source here! Visit the mail order page for further details and to order. New 3 song EP from this L.A.-based pop-psych/psych group who have some nice 60's-style California psych moves meshed with paisley undergrond vibes in the vein of the Thee O' Clock! More details on all these new arrivals over on the mail order page. 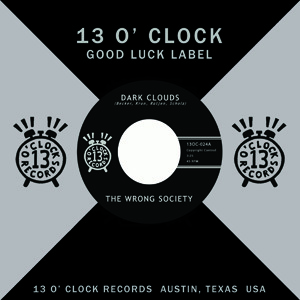 The next release on 13 O' Clock Records, a new single from the Wrong Society, is now available for pre-order! Their first U.S. release! Two new moody and broody 60's-style garage janglers! The new single comes housed in a company-style sleeve with a band business card and a download code. These will be ready to ship on the release date, which is September 9th. Both tracks are up on the Sounds page right now, check them out! 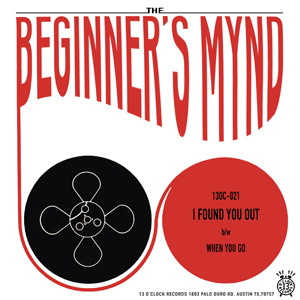 Beginner's Mynd - Singing Man 7"
Charlie 'Ungry - Who is My Killer? 7"
Electric Eels - Accident 7"
England's Glory - Ciy of Fun 7"
Pow Wows - Hey Doctor 7"
Reverberations - Lost in Tyme 7"
Dwight Twilley Band - Firefly 7"
Dwight Twilley Band - Shark 7"
For more details on all of these titles hop on over to the mail order page. The new album from the Higher State is out NOW! There are still some copies available with the limited, hand-numbered fanzine booklet, so come and get 'em! Check out the mail order page for more details. 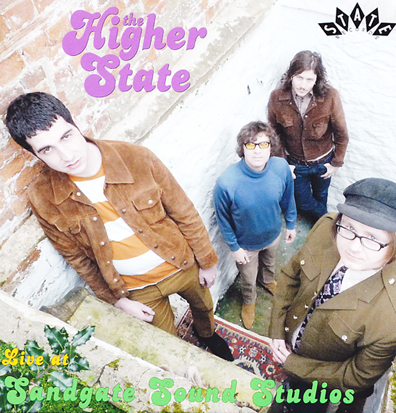 The new album from the Higher State is almost ready, should be hitting the streets in early June! The new test pressings came out GREAT, and I think everyone will be pleased with the end result! Still taking pre-orders on the album, and YES, there are still some copies available with the limited, hand-numbered fanzine booklet! Once again, the first 100 copies with the limited fanzine booklet will only be available direct from 13 O' Clock and the band, and are first come, first served, so don't wait too long if you want to snag one of these copies! For all the info on pre-ordering the album, jut scroll down to the previous news blurb below (dated 4.05.16) for all the details. Debut single from this noise-pop group out of Barcelona! Second single from this Broolyn psych group, almost gone from the source, and probably the last time this title will be restocked. Mod/pop group from the U.K. with Rob Symmons (ex-Subway Sect)! Also in low supply at the source, and also most likely the last time this single will be restocked. 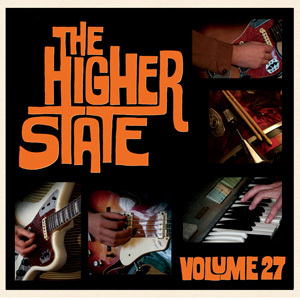 Pre-orders are now available for the new Higher State album entitled Volume 27! Mastered by Tim Warren and with liner notes from Ugly Things Magazine head guru Mike Stax, the album is presented on 150 gram vinyl, housed in nice old-school 60's-style tip-on jackets with lyrics printed inner sleeves. Download code included. On top of this, the first 100 copies will include a special fanzine booklet which will only be available directly from the label and the band! It's first come, first served on the first 100 copies, limit one per customer to ensure that as many people as possible have a chance to snag one of these. Please note, these copies will not be available for sale in stores or for distribution, so don't wait too long if you want to snag one of these! For everyone pre-ordering the album, you will be sent an order confirmation once your payment has been received. And of course feel free to add any other items you would like to purchase along with your pre-order so you can save on shipping by having all items shipped at once in the same package. As usual, an e-mail with the total for all the items you wish to purchase will be sent to you along with the correct shipping amount. Right now, the release date is set for the first week in June and barring any delays at the pressing plant, all pre-orders will ship that week. Once your record is in the mail, an e-mail with the tracking number on the package will be sent your way to confirm shipment of your order. You can hear several tracks from the new album right now by visiting the Sounds page of the website, check it out! 4 song EP, second release from this UK trio that sees the group thrown down some serious glam and pub rock moves! Allan Crockford and company return with a new garage/pop-psych two-sider! For more info on both of these new releases, check out the mail order page. Due to a last minute problem that has developed right before the record was going to press, the release date on the new Higher State album has been pushed back a couple of months to June 7th. It's a bummer since everything had been running smoothly up to this point, but quality is of the highest importance here at 13 O' Clock. So to ensure that the album is presented as it should be with the best sound possible (sonically speaking of course!) this delay has become very necessary. Due to this delay, it's a wee bit early to start taking orders for the album, so the pre-order date for the album has also been pushed back to early April, basically a month from now. As usual, the pre-order announcement will go out to everyone on the e-mail update list and of course will be posted here and on social media, so stay tuned! The next release on 13 O' Clock is currently in production, a new full-length album from The Higher State! Twelve brand new songs on their new album entitled Volume 27, mastered by Tim Warren! The new album will be pressed on 150 gram vinyl, and housed in nice 60's-style, tip-on jackets with liner notes scribed by Ugly Things Magazine head guru Mike Stax! The records will also be sleeved in printed record inner sleeves with lyrics. And to top everything off, the first 100 copies will include a special insert, which will only be available by purchasing the record direct from the label or through the band. Currently the album is on track for the release date in early April, and once we get a little closer to the release date, pre-orders will be available. Pre-orders will most likely begin in early March so keep your eyes peeled for the announcement! The best way to find out when pre-orders are available is by signing up to the 13 O' Clock e-mail update list, which you can do by hopping over to the contact page of the website. Pretty simple, right? Nice 24 song collection of tracks from this overlooked 70's Ohio power-pop group! 8 of the tracks have never been issued on this collection, while some others are presented for the first time on vinyl including several songs from the long gone Around Again cd compilation. Also comes with a 4 song 7" of acoustic tracks. File this one right next to your Badfinger, Raspberries, and Big Star albums! 6 song debut release from this Washington D.C.-based group! Fully authorized reissue of this Toronto group's monstrous heavy psych album originally released in 1969! Reissued from the original tapes, the first single from this Washington D.C. garage group, originally released in 1965! Reissue of this 14 song collection of pop/power-pop nuggets from his days as a member of Velvet Crush and the Springfields among other groups! Official reissue of this excellent German punk rock group's lone album, originally released in 1978! Reissue of his legendary psych album from 1970! Debut release from this newer garage-punk group out of Hamburg, Germany. Last copies, already sold out at the source! Second release on their own label, great moody and broody 60's-style garage punk! Hackamore Brick - Oh! Those Sweet Bananas b/w Someone You Know 7"
The In-Sect - I Can Se My Love b/w Over Under Sideways Down 7"
Masters Apprentices - Undecided b/w Wars or Hands of Time 7"
Northwest Company - Hard to Cry b/w Get Away From It All 7"
A Passing Fancy - I'm Losing Tonight b/w A Passing Fancy 7"
The Noble Krell singles are out TODAY! They're heading to distributors as we speak, but of course you can snag a copy right now from the source! Check out the blurb below from the last update for more info, and visit the mail order page for more details. 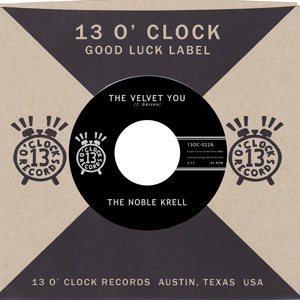 Pre-orders are now available for the next release on 13 O' Clock Records, the new single from the ever-mysterious Noble Krell! Two new songs, The Velvet You b/w Not the Sun, that pick up right where the group left off from their debut on Hidden Volume Records earlier this year. Echo-laden vocals and gloriously reverberated psychedelia glide along a bedrock of Byrdsian guitar jangle to create a colorful tapestry of sound that finds familiarity with groups like The Electric Prunes and S.F. Sorrow-era Pretty Things! The new single comes in a company-style sleeve with an insert and download code included. As of right now, it is on track for the release date on Novmeber 17th, and all pre-orders should be ready to ship a few days before this date. For more details, head on over to the Mail Order page, and also visit the Sounds page where you can hear both of these songs now! Latest single from this U.K. beat/garage group on Get Hip Records! Comes on black vinyl as well as swanky, limited edition, blue colored vinyl! The new release on Market Square Records, a new single from this U.K. power-pop/mod group with Rob Symmons, original guitarist for early U.K. punk rock group The Subway Sect! 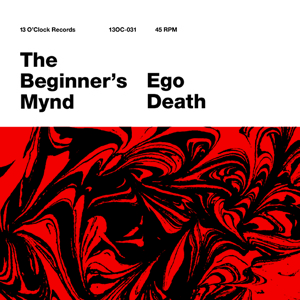 The latest release on 13 O' Clock, the Beginner's Mynd single, is out NOW! It's already at the distros, and of course available right now from the source! Just hop on over to the mail order page for more details. New, killer two sider! Comes with a poster insert! Second single from this Brooklyn-based psych group! New single from this garage group out of Hamburg, Germany! His latest single! Swampy blues and country with garage moves and UK-DIY post-punk sensibilities. And the latest release on State Records just arrived! Great folk-garage two sider! Unreleased songs from 2005! Pre-orders are now available for the next release on 13 O' Clock, the new single from The Beginner's Mynd! Street date on their new single, the I Found You Out b/w When You Go 45, is September 22nd, but all pre-orders will be ready to ship early in just two weeks, starting on September 14th! For those not familiar with this newer group based in Washington DC, this trio meshes Byrdsian guitar jangle with 60's UK-style pop-psych in a similar vein to early Syd-era Pink Floyd and The Factory, as well as more contemporary pop-psych groups such as The Dukes of Stratosphear and the almighty Plasticland! You can get acquainted with the group right now by visiting the Sounds page on the website where you can hear both songs from the single. Just in the nick of time for the release date, the new single from the Higher State is here! Their new top-notch two-sider comes in an old-school, die-cut company-style sleeve with a lyrics sheet insert and download code. For everyone that has already pre-ordered it, your orders will be hitting the mail tomorrow morning (Friday). For more details on this release, hop on over to the mail order page. The next release on 13 O' Clock is almost ready as well, a new single from the Beginner's Mynd! Pre-orders will be available for this title very soon, starting on September 1st. The cost on this title will also be $5.50/each plus shipping. Officially the record is not out until September 22nd, but pre-orders most likely will start shipping as early as September 15th. Stay tuned! Brief update here, the new singles from State Records have just arrived and are available now through the mail order! Pre-orders are now available for the next release on 13 O' Clock, a new two-sider from the Higher State! The new singles are $5.50/each plus shipping. Street date on the new single is August 21st, but of course for everyone that pre-orders the single, your copy will ship as soon as it is ready by the middle of next month. More info on this release can be found over on the mailorder page. Also, you can hear both tracks right now, just hop over to the Sounds page! New 3 song, fuzz-drenched EP from this Japan-based group! 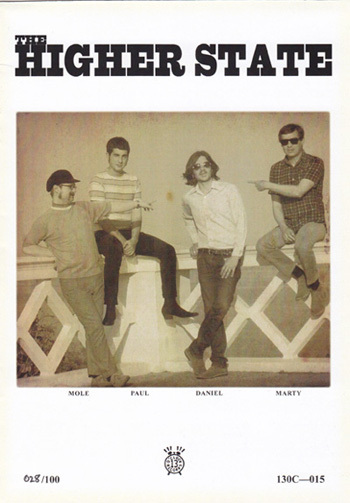 Two-organ driven instrumentals from this Philadelphia soul/mod/garage group! Also from Hidden Volume, got a few more copies of the Quitty and the Don'ts - Running Out of Time 45! Probably the last time these will be restocked as they are almost completely out from the source, so if you've been thinking about snagging one of these, you better step up to the plate! The Baron Four - Walking Out b/w Can't Find My Way 7"
Two new Beat/R&B nuggets from this UK group! The Beatpack - Where the Water Runs Deep b/w (She's) All Dressed in Black 7"
New R&B/Beat blaster from the group! Plus, a restock on the recent single from Thee Jezebels! The singles from State Records should be here any day now, so feel free to pre-order the new titles, they will be ready to ship as soon as they arrive! Check out the mailorder page for more details on these new titles. 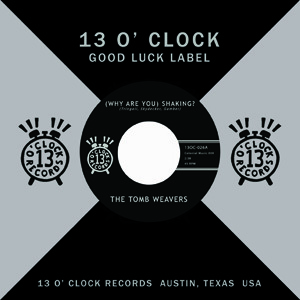 Now available through the mail order, the recent second single from the Tomb Weavers on Get Hip! Another great hard and heavy psych two-sider from this California group! 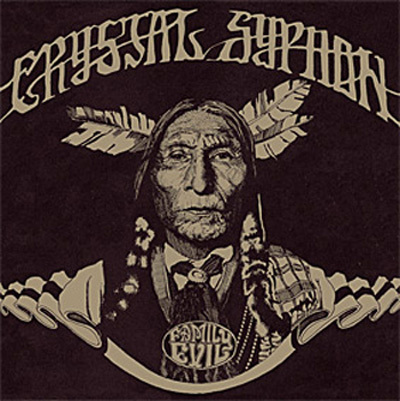 Another new arrival to the 13 O' Clock headquarters is the brand-spanking new Crystal Syphon - Elephant Ball LP on Roaratorio Records! Another full album's worth of unreleased studio and live recordings from this California group from 1967-69! Excellent ballroom psych in the vein of Quicksilver Messenger Service, and once again like the previous Family Evil lp, this one comes highly recommended! For more details, head on over to the mail order page. 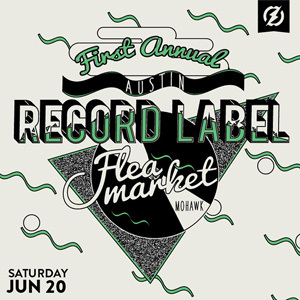 In other upcoming news, 13 O' Clock will be participating in the First Annual Austin Record Label Flea Market on Saturday, June 20th at the Mohawk! There will be alot of local record labels big and small at this event so there should be all sorts of vinyl to put your paws on! 13 O' Clock will be bringing not only the label releases but some choice distro merch to sell at this event as well. It all takes place on the patio and there will be bands playing on the inside stage at the club throughout the event. It all kicks off at 5:00 pm that day and goes until 9:00 pm. It's FREE to the public so come on down, grab a pint, and visit with some of the local ATX labels! For more info on this event, check out the Facebook event page which is getting updated daily here. The new single from the Tomb Weavers is hitting the streets TODAY! Come and get it! For more details check out the mail order page. Pre-orders are now available for the new single from the Tomb Weavers! If you have not familiarized yourself with the band through their previous two releases on Burger Records and Get Hip, it is time to get acquainted! This power trio from Monterey, California have been serving up some great late 60's/early 70's style heavy-psych/hard rock, and the upcoming single is no exception! The cost of the single is $5.50, and pre-orders should be ready to ship by the release date later this month, on May 26th! Hop on over to the mail order page for more details. Galileo 7 - One Lie at a Time b/w The God of Gaps 7"
New two-sider from this UK garage/pop-psych group! Thee Jezebels - Black Book b/w Cried Over You 7"
Debut single from this new UK all-girl garage/beat group with Lois Tozer (The Embrooks, Galileo 7) pounding the skins! More info on both releases can be found over on the mail order page. And stay tuned for a couple more new 13 O' Clock releases coming out this summer, including the return of the Higher State with a stripped-down garage two-sider, as well as the first single from Washington D.C. group The Beginner's Mynd! Debut single from this new Arizona group with members of the Resonars! Fifth single from this Virgina group, another double-shot of Troglodyte garage punk! Second single from this Florida group! The group's first single, these are apparently already sold out from the source so you better grab it fast! Buy now or cry later! Stay tuned for the next release on 13 O' Clock Records, which should be available late next month: a new single from Northern California heavy-psych group The Tomb Weavers! These will be available for pre-order starting early next month! Great 12 song debut album from this group with ex-members of Thee Vicars and the Higher State! New limited third pressing of this great R&B/beat blaster on blue vinyl! Blue Ash - She's So Nice 7"
Ora - Seashore b/w You 7"
Bart Davenport - The Saviors b/w Beg Steal Borrow 7"
Fairfield Parlour - Emily b/w Soldier of the Flesh 7"
Nice 18 song collection of recordings from 5 different long out-of-print self-released cdr's! His excellent debut album now on cassette! New late 2014 green colored vinyl pressing of their most recent album! These will be ready to ship as soon as they arrive, which should be any day now. Check out the mail order page for more details on all these recent arrivals! Happy new year everyone! 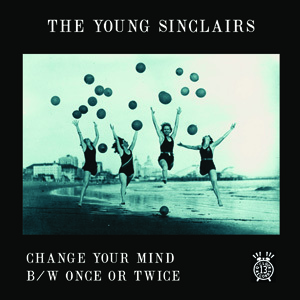 To kick things off, the new Young Sinclairs single has just arrived and is available NOW! Copies of the new single are making their way to distributors as we speak, and of course you can get them now direct from the source. Hop on over to the mail order page for more details. Here's an update on the upcoming new single from the Young Sinclairs: Right now it is looking like their new single should be ready to hit the streets by the middle of January. Pre-orders for the single are now available! The cost of the single is $5.50 plus shipping to your part of the world. To pre-order it, just send an email with "Young Sinclairs Pre-Order" in the subject line of your e-mail and you will be sent a total for the pre-order with the proper shipping amount included. As soon as they are ready, all those who pre-order the record will be sent a quick confirmation e-mail to let you know that your record is in the mail along with the tracking number on the package. Another quick note, the fine folks at Burger Records are releasing a cassette version of the Problem with Me, the debut album from Paul Messis! These should be hitting the streets anytime now, keep eyes peeled! Copies of the cassette should be available through the 13 O' Clock mail order very soon. Both of the new singles on State Records! Les Grys Grys - Hot Gully Wind b/w Neighbour Neighbour 7" - Great debut single from this new French R&B/beat group! This is limited to 300 copies and already out of print from the source so don't sleep too long on this one! The Youth - I'll Call Your Bluff b/w You've Done Me Wrong 7" - third single from this Danish beat/garage group! The Ar-Kaics - s/t LP - The debut album from this primitve garage group out of Virginia! Includes digital download code! The Ar-Kaics - Why Shoud I b/w Slave to Her Lies 45 - their second single! On Ample Play Records, the new album from the Young Sinclairs! This is the Young Sinclairs is a new collection of unreleased songs as well as a few songs off of their now out-of-print singles from the Croque Macadam label! The debut album from Graham Day & the Forefathers entitled Good Things! Includes a cd version of the album. Limited edition of 300 copies! More details on all of these releases can be found on the mail order page. 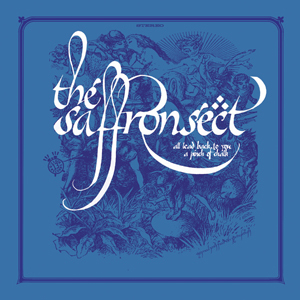 The "lost" single from the Saffron Sect is out TODAY! It's been a long time coming for the second single from this Toronto group, and to be assured the wait has been well worth it! The group really treads down a path of their own on their new release, delivering two pop-psych gems that are at once very immediate yet very timeless. Full color foldover sleeve with download code included. Snag a copy for yourself right now, just hop on over to the mail order page for further details. And for your listening pleasure, you can also flip over to the Sounds page and hear both tracks from the single right now! One more quick update: the new pressing of the Flight Reaction's debut album should be here by the end of the month, fingers crossed! Stay tuned! A couple of quick updates here: the first pressing of the Flight Reaction's self-titled debut album is now out of print from the source! If you are wishing to buy a copy, please check with some of these fine distributors and mail orders as they may still have some copies available: Get Hip (U.S.) Kool Kat Musik (U.S.) Clear Spot (Netherlands) Copasetic (Germany) Soundflat (Germany) Heyday (U.K.) State Records (U.K.). Direct links to all of these distros/mail orders can be found on the Links page. A re-pressing of the album is already underway and should be available very soon, hopefully by the end of this month. Stay tuned! The next new release on 13 O' Clock Records is almost ready: the "lost" single from Toronto's Saffron Sect! Full color foldover sleeve with digital download code included. Street date on the single is only two weeks away, October 28th! plus 3 new singles on Hidden Volume Records out of Baltimore: the Belltowers - No Matter 45, the Ar-Kaics - Sick and Tired 45, and the Quitty and the Don'ts - Running Out of Time 45. Check out the mail order page for all the details on these new titles. Other news: Although there are only a few copies left of the original pressing of the Higher State's most recent release, their self-titled LP, more copies are on the way from the pressing plant and should be here by late this week! Also on the way to the 13 O' Clock headquarters are some restocks on all five of the State Records' full-length LP releases, as well as new records and restocks from CopaseDisques in Germany, including singles from the Flight Reaction, the Fortune Tellers, and the recent full-length LP from X-Ray Harpoons. Both of these packages should be here in a week or so, so keep your eyes peeled! Finally the wait is over! The debut album from the Flight Reaction has just arrived! They still need to be sleeved over the next couple of days, but will be ready to ship by the beginning of next week starting on Monday! For those that have already pre-ordered the album, thanks again for your patience! Your record will be in the mail to you as soon as possible. There are still a few copies left that come with a limited edition fold-out poster. Just a reminder, these are strictly available to people who order the record directly here or through the band. If you want to snag one of these copies with the poster, don't wait too much longer as these last copies will probably be gone very soon! Check out the mail order page for more details. Also, a couple of new items to the mail order have just arrived. Both of the Mystreated singles on UK label Detour Records are now available through the mail order! Who are the Mystreated you ask? They were a group in the 1990's that both Marty and Mole from the Higher State played in for years! While some of you may be familiar with this group's earlier output on labels like Voxx Records, Sympathy for the Record Industry, and Hangman Records, where the group mainly focused on 60's-style garage punk, these singles come from their later period when the group broadened their sound to include jangly folk-punk and 60's style folk-rock, much more simliar in the vein of things to come with the Higher State! More details on both singles can be found on the mail order page. The new single from Paul Messis, the Nightmares b/w Penny Arcade 45, is out NOW! Check out the video for the A side track above! Each single also comes with a download code for both songs. It's already on the way to distributors, and of course you can also get your copy right now direct from the source! Just hop on over to the mail order page for all the details. Also, a quick status update on the Flight Reaction's debut album: right now it is looking like the records should be arriving within a couple of weeks fingers crossed! For everyone who has already pre-ordered the album, thank you for your patience and sorry for the delay! Your records will ship as soon as they arrive. For those that are still interested in snagging a copy of the album with the limited edition poster, there are still a few of these available but don't wait too long on this as they are first come, first served. Scroll down to the previous update on this page for all the info on how to go about pre-ordering the record. Also, just got restocked on the Young Sinclairs' Chimneys LP! More info on this release can be found on the mail order page. If you have not checked out this group Virginia, it is highly recommended that you do so! This Fall, they will be releasing a new 7" EP on 13 O' Clock so stay tuned! If you are interested in pre-ordering the debut album from the Flight Reaction, please send an e-mail message here:13oclockrecords@gmail.com with "FLIGHT REACTION PRE-ORDER" in the subject header line of your e-mail, and the form of payment you wish to use to pay for the record (Paypal, check or money order). The sale price for the record is $13.00 plus shipping. Please see the following shipping prices below to find the correct shipping cost to your part of the world. Once your payment is received, you will receive a confirmation e-mail stating that your order has been confirmed. In order to insure that as many people as possible will have the opportunity to purchase one of the first 100 copies of the record, limit one copy per customer please! Currently it is looking like the records will be ready to ship by the second week of July, right after the 4th of July holiday weekend here in the US. For all who pre-order the album, you will be sent an e-mail to let you know once your record is in the mail. And for anyone who would like to purchase any other records/merchandise in order to combine shipping and save a little money, especially for those outside of the U.S., just send an e-mail with the other items you wish to purchase, and you will receive an e-mail with the total for everything with the combined shipping amount included. If you have any questions about the pre-order, just ask! 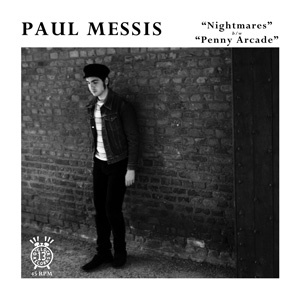 One other note here: the new single from Paul Messis is coming in early July, and there is a very good chance that his new single, the Nightmares b/w Penny Arcade 45, will be available a week or so after, if not the same week, that the Flight Reaction album is ready to ship. If you are interested in the Paul Messis single as well, you can pay for both titles at the same time and have them shipped together if you prefer, as this will save you a little money on shipping of course. If you wish to purchase both of these titles, or anything else for that matter along with the Flight Reaction LP pre-order, just send an e-mail with all the items you wish to order. More new arrivals have arrived and are now available through the 13 O' Clock Records mail order! Got the two latest releases from State Records in the UK, which are the Graham Day & the Forefathers - Love Me Lies 7" and the Beatpack - I'm Walkin' 7". The Graham Day single in particular is already out of print at the source so if you want to snag one of these don't wait too long, they are going fast! Speaking of going fast, also just got the reissue of the Graveyard Five's lone 45 from Lysergic Sound Distributors! Excellent, way-primitive 60's garage! A nice welcome reissue of this incredibly rare single, limited to 500 copies. Also got a few copies of the Young Sinclairs - Chimneys LP while the band was in town recently for the Austin Psych Fest! The albums are on purple vinyl, come with a download code, and also are limited to 500 copies. If you have not familiarized yourself with this band from Roanoke, Virgina, it is highly recommended that you do so! Stay tuned for a new release from this group later this year on 13 O' Clock! 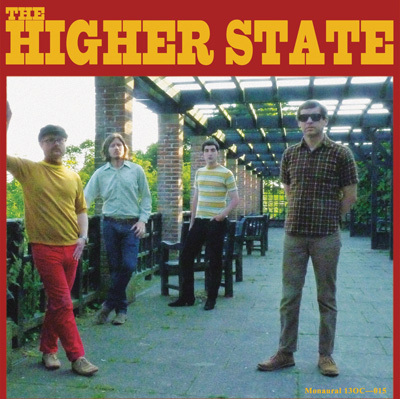 The Higher State are heading out on the road on tour through France, Belgium, and Germany starting tomorrow night! Go see them! Below is their tour itinerary. For more info including links to Facebook events pages, as well as links to Google Maps for the location of these events, hop on over to the Shows page and check out the calendar. Seems like we just started the new year and here it is already the last week of January! Time flies! Hope everyone's new year has started off well! The Bees - Voices Green and Purple 45, both green and purple vinyl versions! Also, restocks from Ugly Pop Records should be arriving any day now, including singles from the Masters Apprentices, Bent Wind, The In-Sect, Hackamore Brick, and the Northwest Company. As for the label, stay tuned for new releases coming later this year including the debut album from the Flight Reaction, a new single from Paul Messis, and a 7" from the Young Sinclairs! The latest release on State Records, a brand new single from the Thanes, has arrived and is now available through the mailorder! Part four of the Sandgate Sound Series, pressed on heavy-duty 70 gram vinyl. Also got some restocks on some of the State Records back titles, including the Offhooks LP, the Galileo 7 LP, the Groovy Uncle - Play Something We Know LP, and the Baron Four - Yes I Do 7". All this and more available NOW! Speaking of availability, there are still a few copies left of the Higher State's new self-titled LP with the limited, hand-numbered lyrics booklet. Just a reminder, these limited copies with the booklet are strictly only available here, direct from the source, so don't wait too long to order it! The Higher State's new album is officially out TODAY! There are still a few of the limited copies available with the lyrics booklet but these will not be around for long. Just a reminder, the first 100 copies with the lyrics booklet are only available here and through the band. If you are interested in pre-ordering the new Higher State album, please send an e-mail message with "HIGHER STATE PRE-ORDER" in the subject header line and the form of payment you wish to use to pay for the album in your e-mail (paypal to 13oclockrecords@gmail.com, check, or money order). The sale price on the album is $13.00 plus shipping. Please consult the mailorder page for the shipping chart that has the accurate shipping price for one album to your part of the world. Once your payment is received, you will be sent a confirmation e-mail stating that your pre-order has been confirmed. Limit one copy per customer please! Currently it is looking like pre-orders on the new album should be ready to ship on November 19th barring any delays from getting the records from the pressing plant on time. The latest release from Market Square Records is now available through the mail order, the debut single from the Space Agency! Like the previous two releases from the label, this one is also limited to 300 hand-numbed copies so don't sleep to long on this one! Speaking of releases, the next release on 13 O' Clock Records is now in motion and coming soon, the 4th full-length LP from the Higher State! At the moment, the tenative release date is on November 12th. Once we get closer to that date, the call for pre-orders will go out to all on the 13 O' Clock Records mailing list. The first 100 copies of the album will come with a limited insert, which will only be available to those who purchase the record directly from 13 O' Clock Records and/or the band. The two new releases on State Records from the Higher State and Bronco Bullfrog have arrived from the UK! Both of these are part of the State Records' Sandgate Sound Studios acetate series, and like the first release in this series, the Baron Four single, these come on very thick vinyl! Needless to say, both are highly recommended! 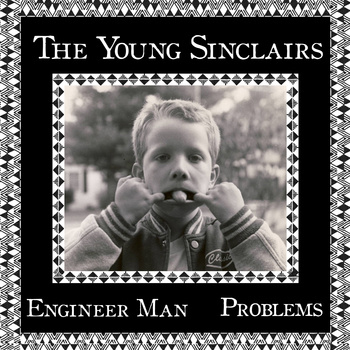 The new single on Market Square Records, the Young Sinclairs - Engineer Man b/w Problems 45, has arrived from the UK! Once again, this is a way limited edition release of 300 hand-numbered copies. Don't sleep too long on this one! Master's Apprentices - Undecided b/w War or Hands of Time 7"
Bent Wind - Sacred Cows b/w Castles Made of Man 7"
In-Sect - I Can See My Love b/w Over Under Sideways Down 7"
For all the details on these releases, just hop on over to the mailorder page! The new releases from State Records are now available through the mailorder: the Paul Messis - Case Closed LP and the new single from the Baron Four! Skip on over to the mailorder page for more details. Just got some great reissues from Feathered Apple Records in Switzerland including: the Outspoken Blues - Not Right Now 45, the Evil - I'm Movin' On 45 as well as the From a Curbstone 45, the Ray Hummel - Fine Day 45, and both Les Sauterelles 45's taken from their Italian recordings in 1967. As usual with Feathered Apple, these are all official reissues with very nice sound quality, and are all highly recommended! Also got some restocks from our pals at State Records including: all the Paul Messis 45's, the Hidden Masters 45, and the Suzi Chunk - Look Back & Laugh 45. 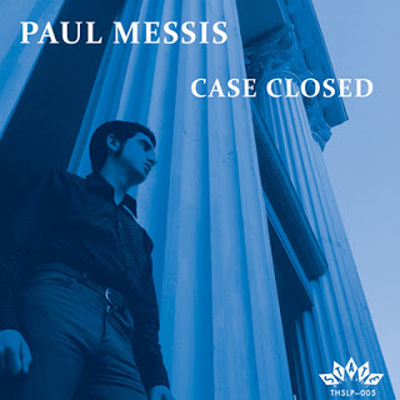 Speaking of State Records, the new album from Paul Messis, Case Closed, should be available soon. Most likely will have copies for sale in early May, as well as the new single from the Baron Four, which is an exciting new group with members of Thee Vicars. Also coming soon, the fine folks at Burger Records are releasing a cassette version of the Paul Messis - The Problem with Me album! As with most of the Burger cassette releases, these will be fairly limited (250 copies) so keep your eyes peeled! For more details on the new recent mailorder arrivals, hop on over to the mailorder page. The latest release from 13 O' Clock Records has arrived! 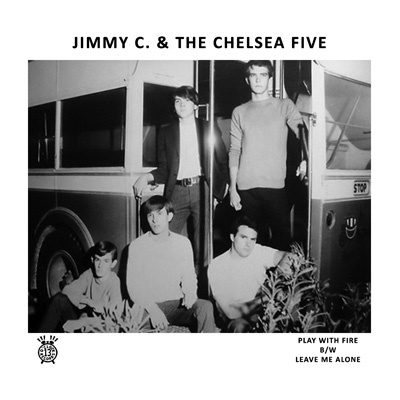 The reissue of the Jimmy C. and the Chelsea Five - Play with Fire b/w Leave Me Alone 45 is now available! This is the lone release from this Dallas, Texas group, originally released on Zero Records in 1967. Special release to celebrate release number 13, presented the way it was meant to be heard, as a 45 rpm single! Hop on over to the mailorder page now for more details! Happy new year to everyone! I know it's a bit belated as we are already midway through January but things have been a bit busy here finishing up some left over business from 2012 (adios!) and getting things rolling on the first label release of 2013. This one has been on the back burner for a bit, but I think it will be well worth the wait. After all, we had to do something special for release number 13 right? 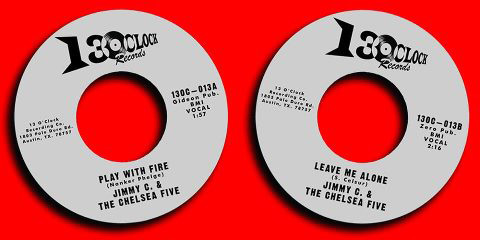 Coming in late March, expect to see a reissue of the Jimmy C. & the Chelsea Five - Play with Fire b/w Leave Me Alone 45! This is a reissue of their lone release from 1967 on the Zero Records label, the same label that introduced the world to the music of Roky Erickson via the Spades - You're Gonna Miss Me single! Stay tuned! 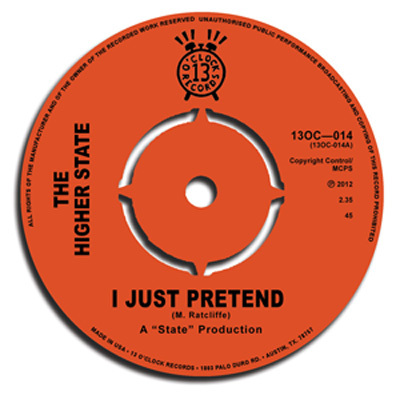 The new single from the Higher State has finally arrived! Hot off the presses, their new two song 45 comes with special UK style punch-out center holes! Head on over to the mailorder page right now for all the details. Now available through the mailorder, the new debut album from Les Bof! Also received from our pals at CopaseDisques restocks on both Flight Reaction singles as well as the Giljoteens - Out of Our Hands LP. Skip on over to the mailorder page NOW! Two new releases from our pals at State Records just landed on the doorstep this morning: The debut album from Suzi Chunk and the Galileo 7 - Staring at the Sound LP. Also got a restock on the mighty Groovy Uncle - Play Something We Know LP. Hop on over to the mailorder page now for more details! The new 45 from the Flight Reaction is here! It's heading to distributors as we speak, but of course you can get your copy direct from the source right now. Head on over to the mailorder page for all the details. Coming soon, a new 45 from the Higher State! Expected to hit the streets in late October/early November, so stay tuned! Now available through the mailorder, two new releases from our pals at State Records: the new 45 from Paul Messis & Jessica Winter, as well as the new Suzi Chunk 45, both of which are limited edition colored vinyl releases! Check out the mailorder page for more details! Have a few posters left from the recent 2012 SXSW showcase, which are now available through the mailorder at a very modest price. They are 13" x 19" on heavy cardstock. Get one for yourself today! All posters mailed in a sturdy poster tube. Scroll down this page for a full image of the poster featuring the lovely artwork of Vikki Vaden! 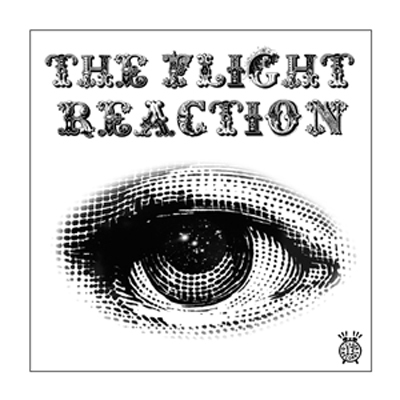 And stay tuned for the next upcoming release, a new 45 from the Flight Reaction! Here's a special offer for you! If you purchase $30 or more of merch from the mailorder, you will receive a free copy of this Higher State promotional cdr courtesy of our pals at State Records! This is a special 4 song cdr put together for the group's recent appearance at this year's SXSW music festival. Four tracks, featuring new live with no overdub versions of Song of the Autumn, Automatic Motion, Darker by the Day, and Know That You Know with the new line up with Paul Messis on bass! Also includes 3 promo spots! Limited to 50 hand-numbered copies. Only have a few copies here, and as stated, these are FREE to the next few customers who spend $30 or more for purchases from the mailorder, so don't wait too long! Hop on over to the mailorder page now! 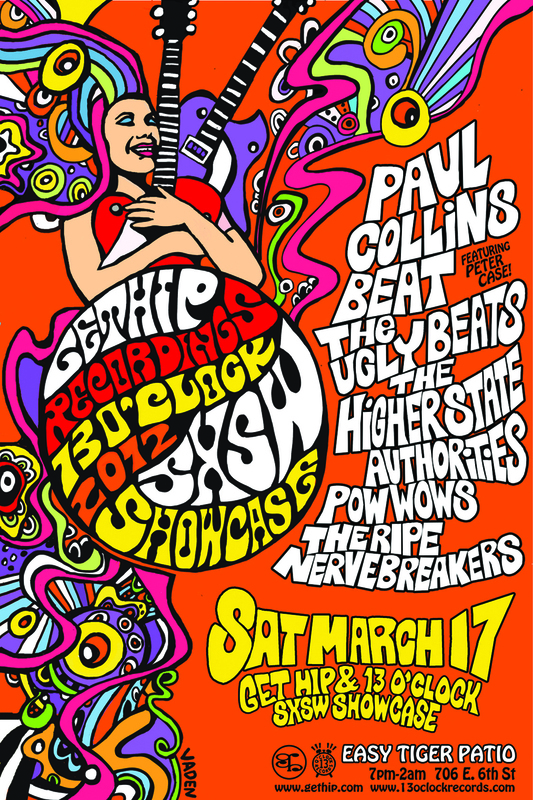 Next week, The Higher State returns to Austin for the 2012 SXSW Music Festival! 13 O' Clock is partnering up with our pals at Get Hip for the actual SXSW showcase on Saturday night, March 17th, St. Patrick's Day. While this is a SXSW event, those wishing to attend that don't have a wristband for the music festival can pay at the door, space permitting of course. Come early! Stay late! 7 bands on the bill, and DJ's between the sets including Vikki Vadden from the Fringe Factory in Atlanta (who also did the nice artwork for the posters). Speaking of which, a limited amount of posters will be available at the show for sale. They are limited so don't wait too long to snag one! 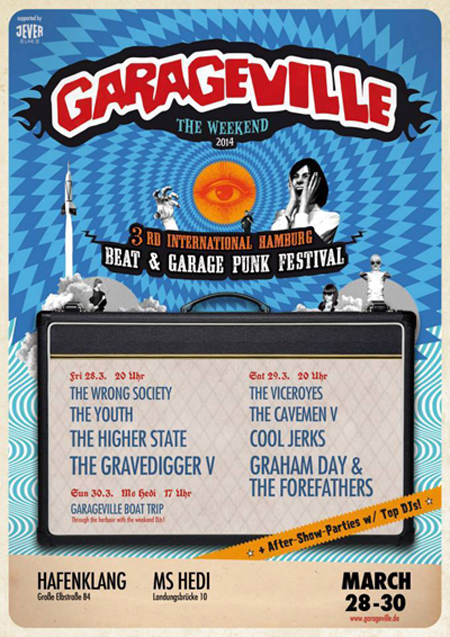 The Higher State will also be performing a few other day shows in Austin the week of the festival. Head on over to the shows page for more details. You can also find this info, as well as ton of other info, on the Austin Showlist website here: Showlist Austin. Tons of 13 O' Clock merch and swag will be available at all of these shows, including brand new Higher State t-shirts, the classic Heads logo on suave Royal Blue t-shirts and Maroon t-shirts, which are now available for mailorder as well. Just hop on over to the mailorder page for more details on those. See ya on the streets! Happy belated New Year to everyone! After ending 2011 with a bang with the release of the third Higher State album, Freakout at the Gallery, things are starting to get rolling with the return of the Higher State to Austin for this year's SXSW Music Festival in March. More details and info on this show as well as other shows the band will be playing the week of the festival coming soon. The new Higher State album, Freakout at the Gallery, hits the streets this coming Tuesday on November 1st! It is available in both lp and cd formats. To snag a copy direct from the source, hop on over to the mailorder page now for more details. ***Special notice*** The 13 O' Clock mailorder will be closed from Wednesday, November 9th to Tuesday, Novmeber 15th. All orders received during this short break will be filled after the mailorder store is reopened on Wednesday, November 16th. If you are sending any e-mails or other general inquiries to the label during this time, please be patient for a response. Thank you! 13 O' Clock Records is now 3 years old! Three years ago this week, the very first release, the Static Static - Nervous Converter 45, was released. Thanks a ton to all the bands for providing the sounds, all the distributors, the radio station dj's for spinning 13 O' Clock releases, Shindig! Magazine, Ugly Things magazine, all the music reviewers, and to all who have purchased the music and supported the label. Hugs and hi-fives all around! Moving onwards and upwards, the next release is just around the corner! The third album from the Higher State, Freakout at the Gallery, will be out at the end of October. Expect to see the both lp and cd formats available around October 25th. Stay tuned! The brand new Higher State 45 on Get Hip just landed on the 13 O' Clock doorstep today! Brand new song on the A side, and a nice cover version of Transparent Day on the flip. A nice teaser for your listening pleasure as we get closer to the arrival of their third album, which is still on track for release in the Fall right around Halloween. The brand new 4 song 7" from Arsene Obscene is out today! You can listen to a couple of tracks from it on the sounds page. Skip on over to the mailorder page for more details. The debut album from Paul Messis is out NOW and hitting the streets! 10 brand new songs and two killer cover tracks (an incredible rendition of the Dovers - What Am I Going to Do? and a rip-roaring take on the Barons' Texas garage classic Live and Die). 150 gram vinyl album that includes a free mp3 download code to download the entire album. Hop on over to the mailorder page for more info, and snag your copy now! Coming in two weeks, a brand new 4 song 7" from one man punk rock n' roll army Arsene Obscene! Stay tuned! The new releases from State Records have arrived! The Offhooks - Outside Looking In lp and the Groovy Uncle - Play Something We Know lp are now available on the mailorder page. 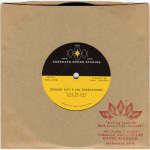 Also received a restock on the Groovy Uncle - Monkey Trosuers 45 as well. Also snagged a few copies of the Embrooks final album, Yellow Glass Perspections, on super heavy 220 gram vinyl. Needless to say it comes highly recommended! Just got a few copies of Marty's Ratcliffe's new 45 on Get Hip as well as the U.S. version of the debut album from Os Haxixins. Hop on over to the mailorder page for all the details. There is a new website for Paul Messis. The link to the website can be found on the bands/artists page. Check it out! His debut album is coming soon! Most likely it will be out in May so stay tuned! Happy new year! Just got a few copies of the killer debut album from Arsene Obscene. Great French DIY punk, highly recommended! Check out the mailorder page for more details. Also, a quick reminder that the Higher State will be in Spain this weekend for a couple of shows. See the calendar on the shows page for more info. It has been raining vinyl this past week here at 13 O' Clock headquarters! The new 7" EP from Os Haxixins has arrived and is hitting the streets right now! You can listen to a couple of tracks from the 7" on the sounds page. Just got some copies of the new 45 from Paul Messis from our pals at State Records. And from our pals at Copase Disques in Germany, both of the new 45's from the Flight Reaction have arrived, as well as a few copies of the final Giljoteens album, Out of Our Hands. Needless to say, all of the above are essential listening and come highly recommended! Visit the mailorder page now for all the details. Dates are now posted on the calendar on the shows page for the upcoming Higher State shows in Spain and Germany in December. Also, the Flight Reaction are confirmed for the Cloud 9 Weekender in Rimini, Italy early next year in February. Not sure which day they are playing on yet, so stay tuned for more details on that. The debut U.S. single from the Flight Reaction is out now! To order a copy direct from the source, check out the mailorder page for more details. You can listen to the A side of the 45 right now on the Sounds page. The shows page has been updated with another upcoming Flight Reaction show as well as a record release/label party for Paul Messis and State Records in London at the end of October. Check back soon for details on The Higher State's upcoming shows in Madrid and in Germany in December. After a long delay, the website has a new look! Photos, videos, mp3's, and press related material have also finally been added. There is even a new email address for the label, which is: 13oclockrecords@gmail.com. There still is some work to be done with installing a cart system for the mailorder page, but the major facelift has been completed. The next release is at the pressing plant right now, which is a new 45 from the Flight Reaction. They are a new band from Stockholm comprised of members of bands such as Crimson Shadows, The Giljoteens, and Les Artyfacts. The 45 will be out in October, so stay tuned! Just got a few copies of latest single from State Records in the UK - The Hidden Masters - Nobody Knows That We're Here 45! It comes highly recommended! Check out the mailorder page for more details. 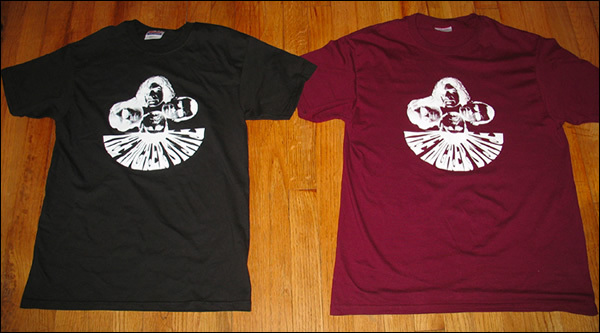 Brand spanking new Higher State T-Shirts with the "heads" logo design are now available! I also have copies of the 2 latest State Records releases from the Lykes of Yew and Groovy Uncle, as well as a restock on the incredible debut single from Paul Messis. Head over to the mailorder page to find more details on all of this. Thanks to everybody who came out to the Higher State and Saffron Sect shows last week during SXSW! Special thanks to Gregg and Barbara at Get Hip Recordings for sharing the SXSW showcase bill, the Ugly Beats for sharing their equipment (as usual! ), all the bands for playing, Habana Calle 6, Sonny's Vintage, Antone's Records, Spiderhouse, Counter Culture, Jason McNeely, Michael Passman, Sue Davis, and Robert at Optical Sounds. Hugs and hi-fives to the Higher State and the Saffron Sect for making the trek! It certainly was a gas! If you took photos/shot video of the bands during the week, please get in touch! All the Higher State and Saffron Sect shows here in Austin during the week of SXSW are posted now! Check out the live shows page for all the details. For everyone in the U.K., you should check out the State Records launch party this coming Saturday night, March 15th, in Folkestone. Details on this are also on the live shows page. For everyone heading to Austin for the circus (a.k.a. 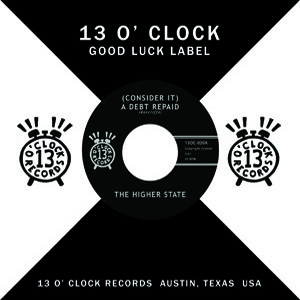 SXSW) next week, the mobile 13 O' Clock merch table will be at all of the Higher State and Saffron Sect shows. Stop by and say hi! Have fun in Austin, and see ya on the streets! The new singles from the Higher State and Paul Messis are here! Get them NOW! Check out the mailorder page for all the details and to order a copy. The upcoming new 45 from the Saffron Sect has been delayed but should be available this Spring. Stay tuned! All the upcoming Texas shows for the Higher State and the Saffron Sect will be posted very soon here on the shows page and on the Myspace page. Both the Higher State and the Saffron Sect will be coming to Texas for this year's SXSW festival. Once I get the dates for all their shows confirmed I will post them on the shows page as well as the myspace page. © 2019 13 O'Clock Records. All Rights Reserved.